What UK Degrees have the Best Job Prospects? 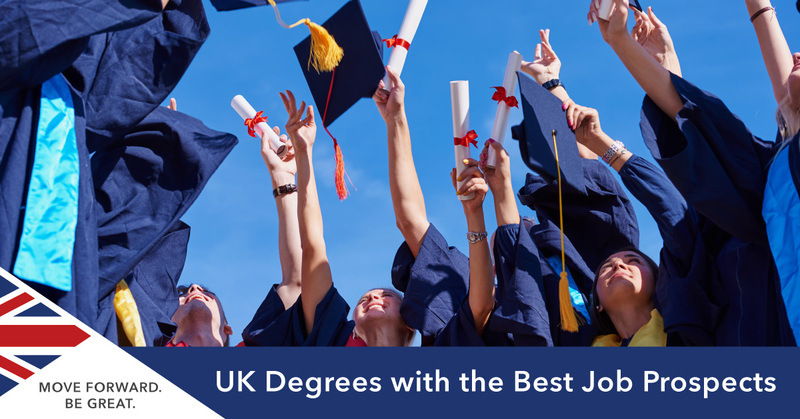 There are over 65,000 courses to choose from at UK universities, and some more than others offer excellent graduate employment prospects once your degree is over. Using data from the Higher Education Statistics Agency for the period 2014-15, we have taken a look at the top seven subjects in the UK which offer the highest employment rates for graduates. ...and once you are ready, arrange a free consultation and we can help get your application started. With a 99.4% employment rate within six months of graduating, medicine and dentistry programmes are the most employable in the UK. There are limited spaces on medical programmes in the UK, and competition for places is notoriously fierce. Veterinary Science involves the prevention, diagnosis and treatment of illnesses for animals and, similar to medicine, there are very limited places available at the eight veterinary schools in the UK. 95.9% of graduates in this subject find employment within six months of graduation. Medicine is an extremely broad subject, and doesn't just encompass the doctors who treat you, but also the theatre technicians, pharmacists and medical researchers who work together to help save lives. Across subjects such as these, 95.3% were employed six months after graduation. Do you have the ability to inspire, motivate, manage and deal with challenging behaviour? 94.4% of graduates in education are employed or go on to further study upon graduation, and a career in teaching can be highly rewarding. If you think you can take on the design, mechanics and construction of buildings and objects, a career in architecture is extremely rewarding. 90.1% of architecture students had found jobs or further study within six months of graduation. 89.9% of law students found employment or moved on to further studies within six months of graduating, with many focussing on specialised areas at postgraduate level. Law remains one of the most popular subjects to study in the UK. Biological Science is the study of all living things and in recent years the subject has boomed in popularity. 89.2% of graduates between 2014 and 2015 found employment as marine biologists, microbiologists and nanotechnologists. Are interested in studying one of the above subjects at a UK university? Meet our international university advisors in London or Manchester for a free consultation and we can answer all your questions about studying in the UK.